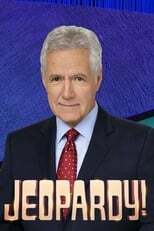 Where can you stream Jeopardy!? On 1964-03-30 TV Series Jeopardy! first aired on NBC. Written and created by Merv Griffin, and produced by Sony Pictures Television & Columbia TriStar Television, Jeopardy! will return and was last broadcasted on 2017-12-25.